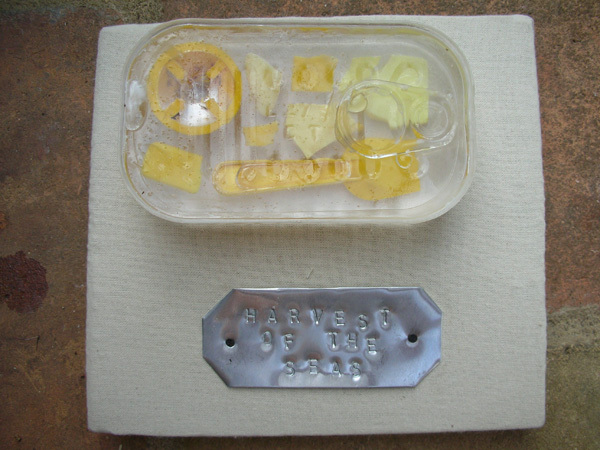 I was one of ten artists chosen to create a piece of public art work for the display area in the new Shetland Museum (opened 2006) and given the Harvest of the Seas area to respond to. During a research week on Shetland, I talked to a museum guide who told me of the timber that used to be washed up on the beaches and was used to make most of the furniture, Shetland having no trees. 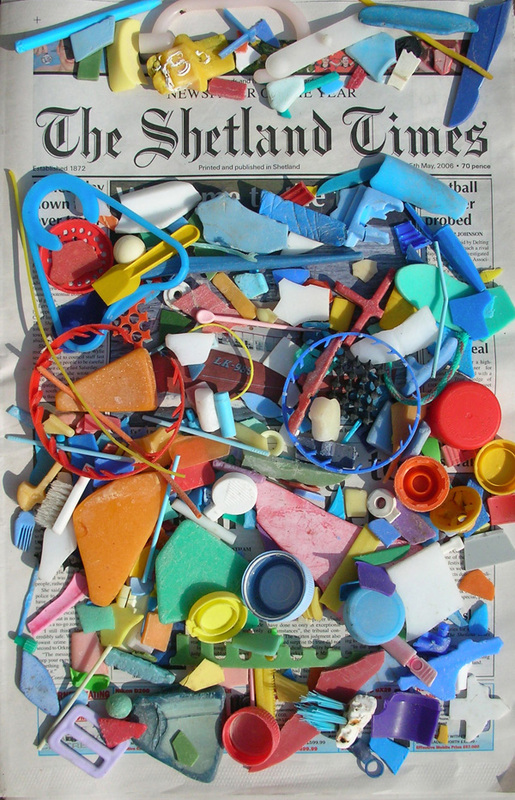 Today this is not the case, the most common thing to find on the beach is plastic. 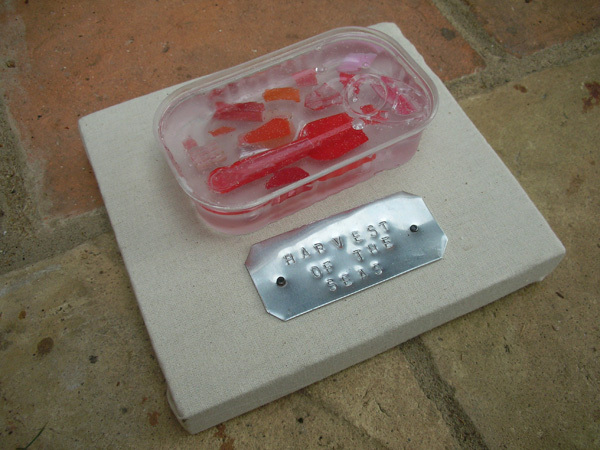 I used this as my starting point and made 15 resin sardine tins that contained coloured plastic collected from various beaches. 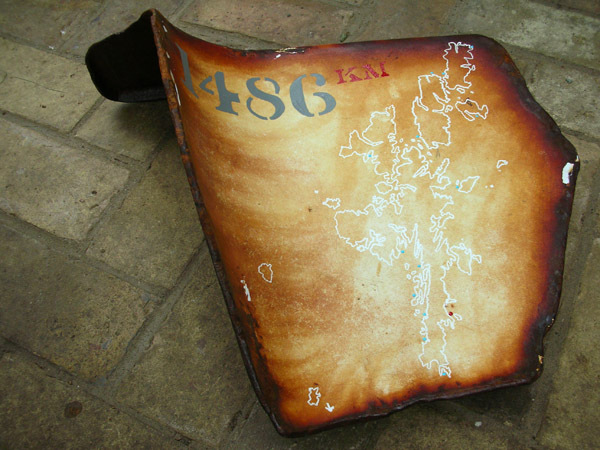 A corner of an enamel bath found on a beach was used to create a map of Shetland. The sardine tins were to be placed in 15 local museums with the bath map to locate them exhibited at the New Shetland museum, but during the course of the planning 11 of the tins were sent out into the sea again, to go on a new journey.